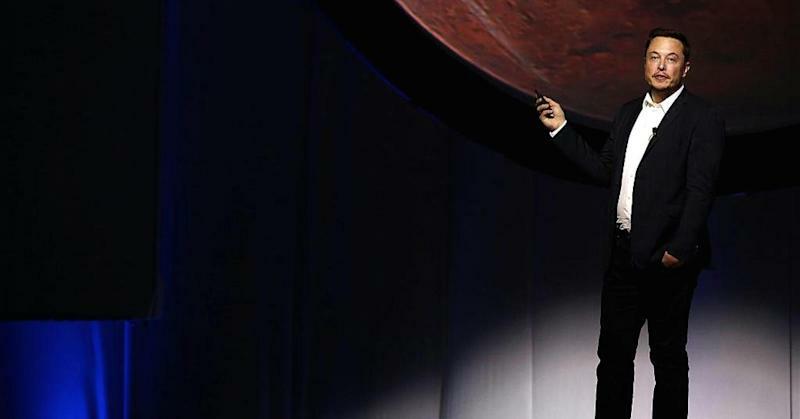 Elon Musk has hit back at claims that President Donald Trump's new NASA bill will be good for his space exploration business, saying it does nothing to get SpaceX's mission to Mars off the ground. The serial entrepreneur took to Twitter Tuesday to respond to Kara Swisher, co-founder of technology news website Recode, who said the president's decision to grant NASA $19.5 billion in funding would leave Musk "smiling." "I am not," wrote Musk, chief executive of SpaceX. "This bill changes almost nothing about what NASA is doing. Existing programs stay in place and there is no added funding for Mars. "Perhaps there will be some future bill that makes a difference for Mars, but this is not it," Musk added in a later Tweet. The S.442 funding bill, signed by President Trump Tuesday, is the first of its kind to pass through Congress in six years and will help facilitate NASA's deep space exploration projects and promote private-public partnerships and job creation, the White House said. This includes "achieving human exploration of Mars and beyond," the bill noted. However, Musk claims the new funding will not provide a boost to his aims of making commercial travel to Mars a reality for the public. His space transportation company SpaceX is currently working in collaboration with NASA under a $1.6 billion contract, which has so far flown 10 cargo missions to the International Space Station. Its ultimate goal is to enable space travel to, and colonization of, Mars. Musk met with President Trump in December alongside a host of technology leaders, including Apple's Tim Cook and Amazon's Jeff Bezos , to discuss the technology industry under his then upcoming presidency.